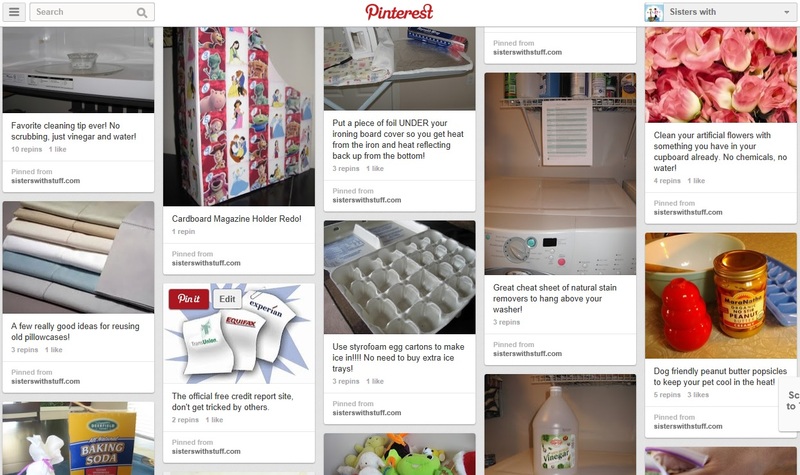 Sisters with Stuff: Have you seen the new look on Pinterest? Pinterest has updated their look, I actually like it, very modern, clean. Sisters with Stuff is on Pinterest,you can click here to go to Pinterest Follow our boards on Pinterest.